So you’re thinking of sending your child to summer camp. What a great idea! Camps are wonderful places — without parents — where children can experience the great outdoors, learn new skills, make friends, meet positive role models, become more independent, and most of all, have fun. Because your child has diabetes, you may be unsure what type of camp is best for him, or you may be reluctant to send him to camp at all for fear that his diabetes will not be managed by the camp staff. However, a little research can help you choose the right camp for your child, and some planning and direction on your part can minimize your fears. You simply need to know the capabilities of the camp’s staff and resources so that you can plan accordingly. There are two general types of camps from which to choose: diabetes camps and traditional camps. Diabetes camps have medical professionals with diabetes-care experience on staff, and most incorporate diabetes self-management education into camp activities. Traditional camps are just that: regular summer camps with no diabetes focus and possibly no medical professionals on staff. Either can be a good choice for a child with diabetes. In the United States, there are over 100 camps that have been developed for the purpose of serving only children with diabetes, though a few also take siblings or friends as partners. Some of the camps have been in existence for many decades, before self-monitoring of blood glucose was even possible, when a diabetes camp was the only safe option for the child who wanted a camp experience. Back then, a diabetes camp was one of the only sources of diabetes education as well. Today, diabetes camps are diverse, offering a variety of outdoor activities, arts and crafts, and other forms of recreation. All have access to (and should follow) the American Diabetes Association guidelines for the proper care of diabetes at camp. The camp medical staff may consist of physicians, nurses, dietitians, and often, pediatric residents, medical students, nursing students, and social workers. The counselors usually have diabetes too, and many are former campers. These counselors are terrific role models and probably have more of an influence on the campers than the medical staff does. The goals of most diabetes camps are to incorporate good diabetes management decisions into the camper’s daily life and to foster the outlook that a kid with diabetes can accomplish anything he wants. (Do not, however, expect a week or two of “perfect” blood glucose control. Camp is a big change in routine and a learning experience.) Some campers have never even met another child with diabetes before. For these children, camp is especially valuable. It can give them a sense of belonging that they don’t have back home. Sending a child to a traditional summer camp is a lot like sending him to school: It takes planning. Because traditional summer camps don’t usually have staff trained in diabetes issues, parents need to be very involved in familiarizing the camp staff with diabetes care. Just as you did with school staff, you will need to start with the very basics of diabetes management and emphasize what the camp staff needs to do to keep your child safe. Keep in mind that traditional camp staff will likely have even less diabetes experience than school personnel. Do not assume that there is a camp nurse or that the camp nurse will have diabetes knowledge. Which type of camp to choose? As you consider all the possibilities, ask yourself the following questions: Is it the first time away from home for a child who doesn’t yet check his own blood glucose, or who doesn’t want to stop playing when it’s time for his snack? Or do you have a teen who has been dependable and quite capable in all aspects of his diabetes care? Is your child easily influenced by peers, so that diabetes care takes a back seat? Does your child seek out adult help when he needs it? Does he hate to tell people he has diabetes? Parents of young, first-time campers will probably be most comfortable if their child attends a diabetes camp. 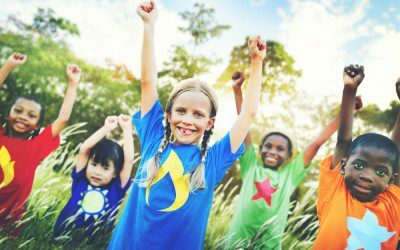 Kids who need a lot of help and direction in their blood glucose self-monitoring, insulin injections, and food choices would definitely benefit from a diabetes camp. Pragmatically, your decision may be most influenced by availability and cost. The earlier you apply to a camp, the greater your chances of getting a spot. Most diabetes camps give full or partial scholarships, or “camperships,” based on financial need, so ask for information about financial aid before you rule out a camp that seems expensive. Make sure the camp you are considering is accredited by the American Camp Association. Accreditation ensures the camp takes certain safety measures, which include meeting cleanliness standards, having a high staff-to-camper ratio, hiring credentialed program staff (such as lifeguards), and performing background checks on staff, among many others. Beginning in the summer of 2002, the Association started alerting its member camps to the availability of diabetes-care guidelines that were developed in partnership with the American Diabetes Association. Most diabetes camps will provide information or a manual about how diabetes will be managed at camp. Parents can also call the director to talk about any particular concerns. Talking to the parent of a child who has attended the camp can also be arranged. Preparing for a traditional camp experience will require more advance planning. Parents must be advocates for a safe, fun experience for their camper. Start by asking your child’s diabetes team for help and suggestions, then set up a meeting with the camp director. If possible, include the camp nurse if there is one. The camp nurse at a traditional camp is most likely the only medical professional at camp. The nurse may have no Type 1 or Type 2 diabetes experience and may not be on duty 24 hours a day. Find out what you have to work with. Another staff member may need to be involved in your child’s diabetes care. If the camp nurse is not available at this first meeting, arrange another time, but don’t plan on meeting during camp check-in; it’s too busy then. Be prepared to tell the camp director and nurse precisely what accommodations your child needs while he is at the camp. First, see if you can find a way to work within the system the camp has in place. For instance, it may be simple to move your child’s breakfast time 45 minutes to coincide with camp breakfast time. However, insist on accommodations when necessary. For example, your child must carry treatment for low blood glucose at all times, whether food is normally allowed in tents or cabins or not. After the meeting, put all the information the camp staff needs about your child’s diabetes care in writing and provide many copies for them to keep handy. Meet with your camper’s cabin counselor at check-in and go over everything again. List the situations in which you want to be called and those in which your camper’s physician or diabetes team needs to be called. Be sure you understand the camp’s policy on accepting phone calls from parents. Phoning in to camp is handled differently at each camp, and some camps strongly discourage parents from phoning. Here’s a rundown of the areas in which you’ll need to plan ahead, whether that means educating the camp staff or packing extra supplies. Make sure you cover each one of these following areas, even if your child is quite independent. Blood glucose and ketone testing. To make sure your child’s blood glucose level is checked as often as it should be while he’s at camp, the following questions need to be answered before camp starts: Who will be responsible for monitoring and recording if he cannot do it himself? If the camper does monitor himself, who will make sure it’s done on time? If you determine that a check needs to be done at midnight or 3 AM, who will be responsible for that? Where will the meter and strips be kept? (They must be available at all times.) How will used strips and lancets be disposed of? Make sure the camp staff knows when to check for ketones. If urine or blood ketones are positive, direct that you or the child’s physician be called immediately. Low blood glucose. All camp staff in contact with your camper must be able to recognize hypoglycemia and know what to do if he has a low. Make a list of the symptoms of low blood glucose that your camper usually gets. List more unusual symptoms as well, just in case. Include “seizure” on your list even if your child has never had one. Include a list of the situations in which low blood glucose is more likely to occur. List the appropriate treatments for lows that occur just before a meal and lows that occur between meals. Make sure glucose tablets and other treatment for lows are carried by either your child or the counselor who is with him at all times. Explain what to do if your child resists treatment, and give direction for rechecking blood glucose after a low. Make sure you and the camp staff answer the following questions before check-in: How will treatment be recorded? Whom will it be reported to? When will it be reported? Is there someone at camp who can give glucagon, if necessary? Where will it be kept? In an emergency, who will call an ambulance? How far is it to the nearest hospital? Insulin administration and adjustment. Make a plan for insulin storage, injections, and dose adjustments. At camp, insulin should be stored in a refrigerator, even if you normally store opened vials at room temperature at home. Temperatures in cabins, tents, or backpacks can get very high, causing insulin to lose potency. Most camp infirmaries or health centers should have a refrigerator. If your child cannot draw up insulin or give himself an injection, designate a camp staff member to take care of it. (Again, do not assume the nurse will be available at all times.) An older teen experienced with giving himself injections or using an insulin pump may have confidence to administer and adjust insulin on his own. However, all campers, even independent ones, should have some staff oversight to make sure that injections or boluses are given; it’s too easy to forget in the excitement of camp activities. Ask that a staff member keep an eye on your child’s insulin administration, and make sure your child understands that this will be the procedure while at camp. A word of caution to the experienced and the inexperienced: With the increased physical activity at camp, the insulin dose may need to be reduced by about 10% (if this reduction is too much, the dose can be increased the next day). If your camper can’t make insulin dose changes by himself, you need to answer the following questions: Do you want the staff to follow your camper’s home dose schedule? Do you use a scale for raising and lowering doses that depends on your child’s premeal blood glucose level? How will decisions about insulin doses be communicated to you? You may want to designate a time that camp staff can call you at home. If your child uses an insulin pump, make sure you send a back-up pump (if you have one), supplies for insulin injections, and both short-acting and long-acting insulin. If your camper is not completely independent in all aspects of pump use and programming, sending him to traditional camp is probably not a good idea. A diabetes camp would be a better choice. Meals and snacks. Get the camp’s menu ahead of time, as well as the times meals and snacks will be served. Ask if there are frequent last-minute changes to the menu and if meals are usually on time. This can be a problem at traditional camps. Insist that your camper have easy access to food. Usually camps have a “no food in cabins” rule; if so, this rule must be relaxed for your camper. Because of the high activity level at camp, it’s very important that your camper have an evening snack, and it’s likely he’ll need a larger snack than he usually eats at home. Go over the menu with your camper and make sure that for each meal there is something he will eat. If not, arrange a substitute. The camp may allow foods from home. Campers may have access to vending machines, or they may be able to buy treats at the canteen. Prepare your camper to make the right decisions about when to eat such treats and how much to have. Diabetes supplies. Make a list of all the supplies your camper would possibly need for the duration of his camp stay and double it. This is true even for insulin vials, which can easily break. If your camper uses a pump, pack twice the amount of set changes you expect him to need. Don’t forget extra food, glucose tablets, and other treatments for low blood glucose. For many parents, camp time is a great opportunity to take a break from the responsibility of diabetes care. Just remember that Boy Scout motto: “Be prepared.” If all the bases are covered, your camper can have a safe and enjoyable experience — and you can relax and enjoy your freedom, too. Whether you choose a camp specializing in caring for children with diabetes or a traditional camp program, good planning and preparation will ensure that your child returns home healthy and filled with memories that will last a lifetime. Karen Riley is a Diabetes Research Nurse at the Children’s Hospital of Pittsburgh in Pittsburgh, Pennsylvania, has been a camp nurse at Camp Crestfield in western Pennsylvania for more than 20 years, and has been the chairperson of the American Diabetes Association diabetes camp project team for several years. The “For Parents” series is edited by Jean Betschart Roemer, MN, MSN, CRNP, CPNP, CDE, a Pediatric Nurse Practitioner at the Children’s Hospital of Pittsburgh in Pittsburgh, Pennsylvania. Books on diabetes by Ms. Roemer can be purchased via her website, www.learningdiabetes.com/.